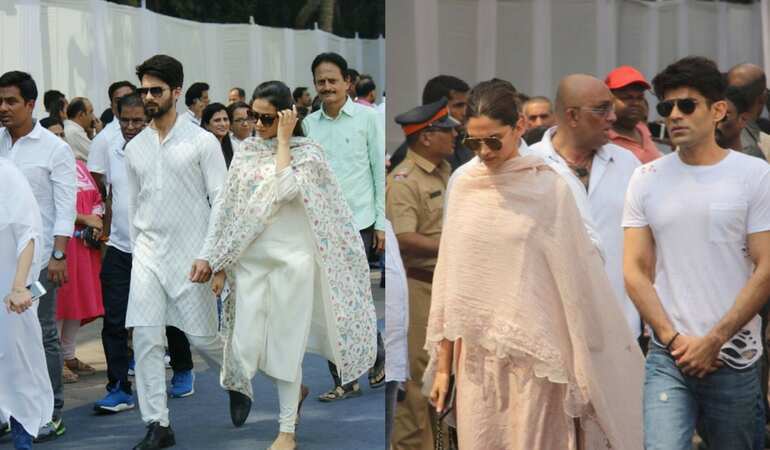 Fans and Bollywood thronged Celebration Sports Club were the mortal remains of Sridevi were kept before the body was taken to Vile Parle Crematorium for the last rights. The actress's body was taken to the crematorium in a carriage adorned with white flowers. 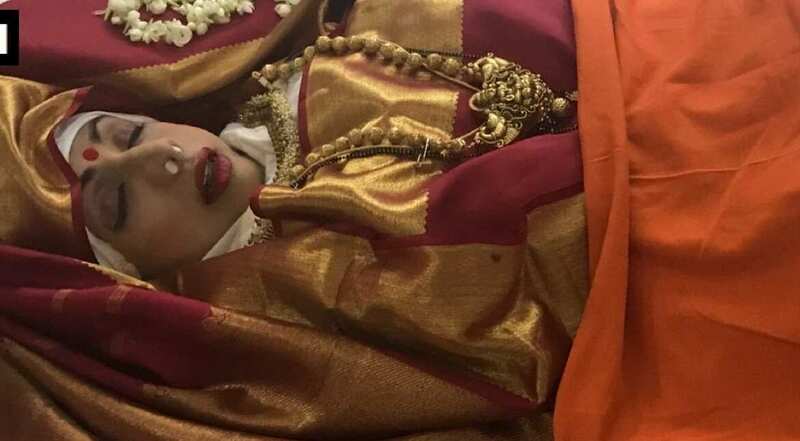 The cavalcade that carried Sridevi's body was adorned with white flowers. The actress' body was accompanied by her Boney Kapoor, Anil Kapoor, Sanjay Kapoor, Arjun Kapoor, Mohit Marwah and other members of the Kapoor family. Her daughters followed the cavalcade in a car. 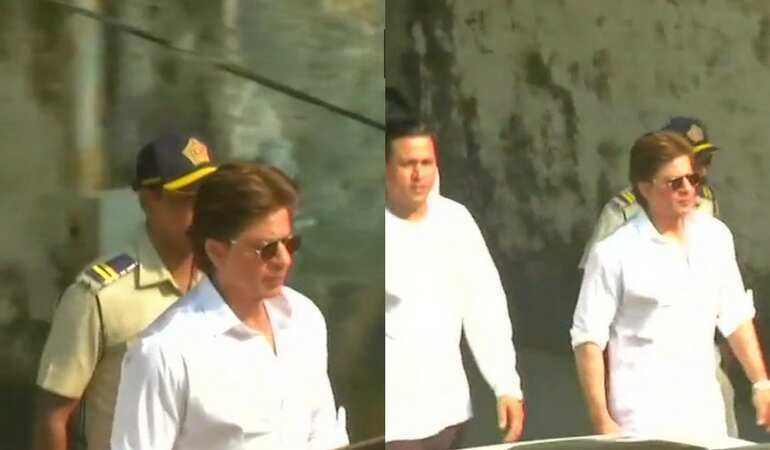 Shah Rukh Khan arrived at the Vile Parle Seva Samaj crematorium where the cremation ceremony would take place. 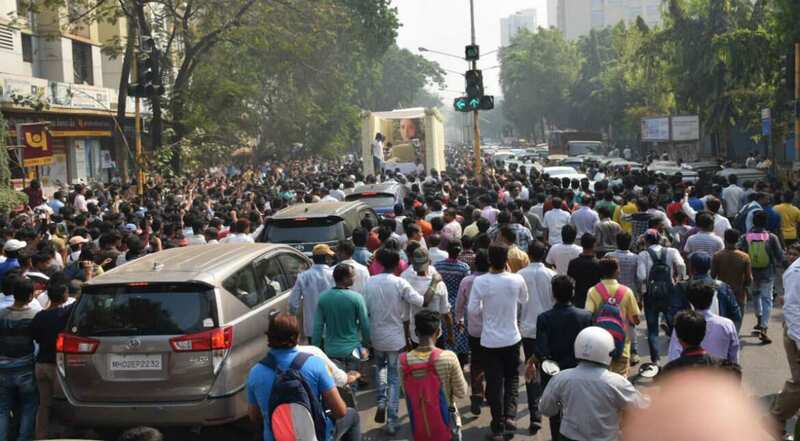 Thousands of fans took to streets as Sridevi's final journey began from Celebrations Sports Club to Vile Parle Crematorium. Photos by Yogen Shah. 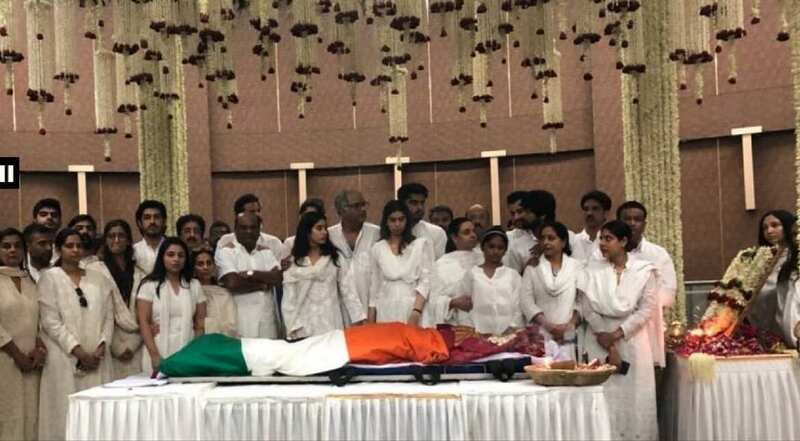 Family members stand in front of Sridevi's body which has been wrapped in tri-colour. The actress had last week flown to Dubai to attend a family wedding. The cremation will take place with full state honours. Sridevi died on Saturday in Dubai due to accidental drowning in her hotel bathtub. She was found unconscious by her husband Boney Kapoor. It was Sanjay Kapoor who had first confirmed the news of Sridevi's death to the media on Saturday night. 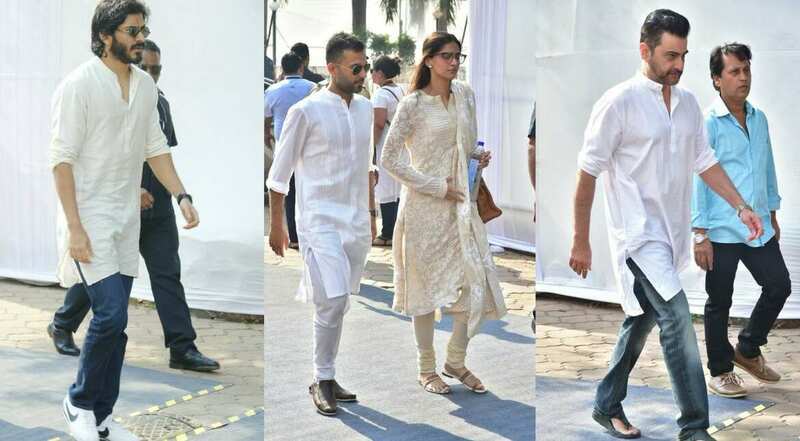 Sonam Kapoor and her beau Anand Ahuja and brother Harvardhan came in early to Celebration Sports Club where the mortal remains of Sridevi have been kept. Padmaavat star Deepika Padukone straight from the airport. Her co-star Shahid Kapoor came with his wife Mira. Kajol, in an emotional post, wrote how Sridevi would remain forever relevant. The actress came with her husband Ajay Devgn. Madhuri, who was always pitted against Sridevi, visited Anil Kapoor's home two days back. 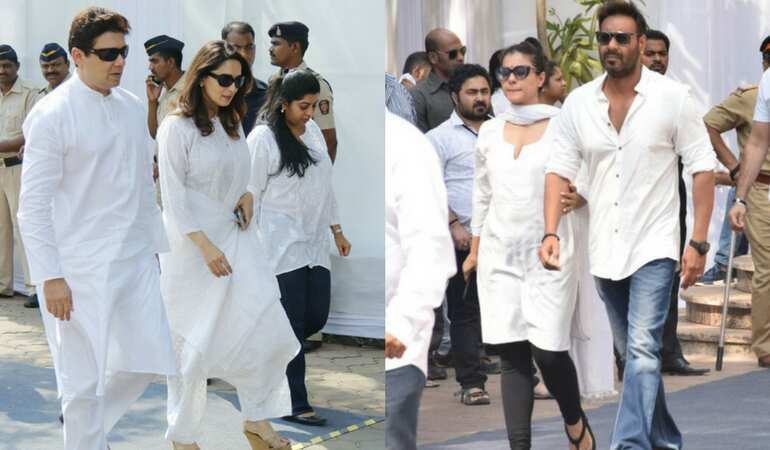 She came to pay her last respects to the actress on Wednesday with her husband. 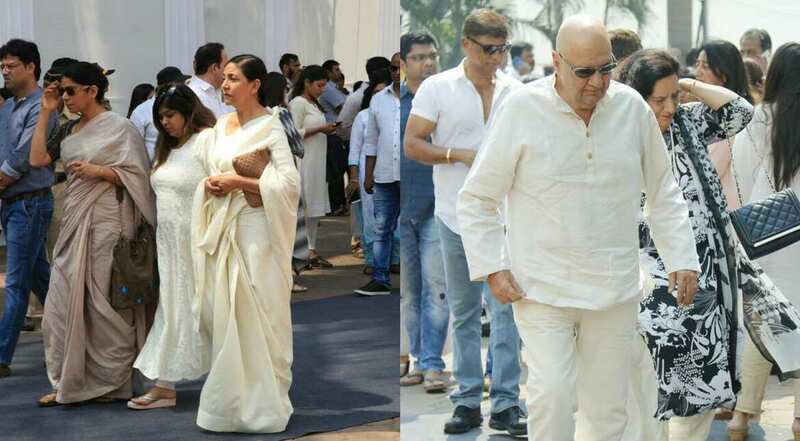 Deepti Naval, Mista Vashisht, Prem Chopra came to bid Sridevi a final goodbye. 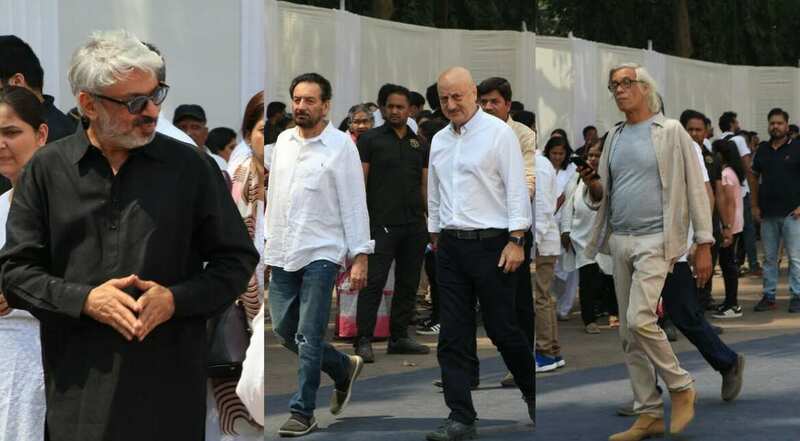 Shekhar Kapur, who directed Sridevi in Mr India, came to pay his last respects along with Anupam Kher who has done numerous films with the actress including the memorable Lamhe. Sanjay Leela Bhansali and Sudhir Mishra were also seen at Celebration Sports Club. Sridevi inspired a generation of actors with her grace, acting and comic timing. 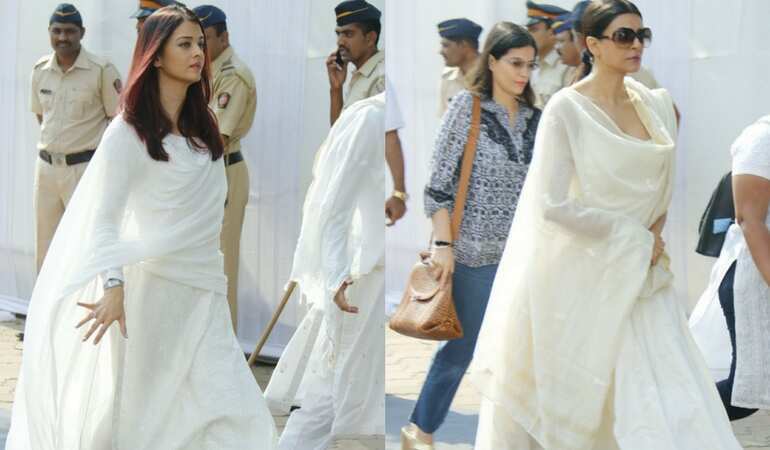 Aishwarya Rai and Sushmita Sen were seen at Celebration Sports Club. Vidya Balan, who called Sridevi her inspiration, came with her husband, Siddharth Roy Kapur. She had tweeted earlier, 'My inspiration is no more' reacting to Sridevi's death. 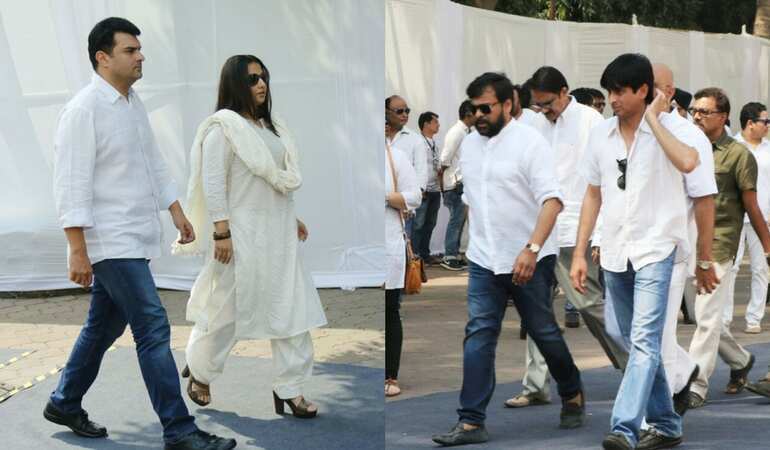 Actor Chiranjeevi also flew to Mumbai to pay his last respects to the actress. The two actors and their families were known to be close. Actors Sidharth Malhotra, Aditya Roy Kapur, John Abraham at Celebration Sports Club. 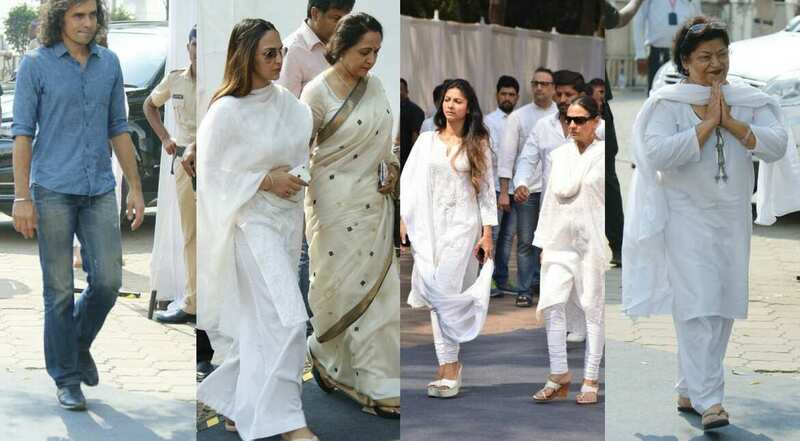 Veteran actress Hema Malini with her daughter Esha Deol, Tanisha Mukherjee and her mother Tanuja, choreographer Saroj Khan and filmmaker Imtiaz Ali walk in to pay Sridevi their last respect. The actress will be cremated with full state honours. 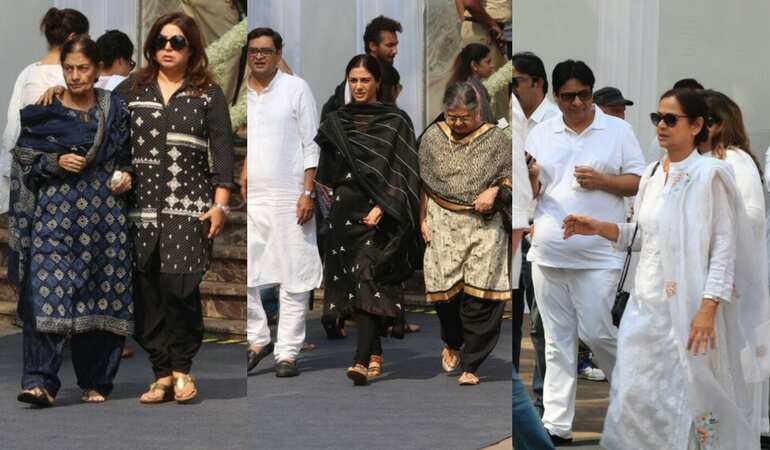 Tabu, Farah Khan, Zarina Wahab offer condolences to the Kapoor family. Actress Rekha had rushed to Anil Kapoor's home on Sunday night when the news of Sridevi's death came. The actresses were known to be close to each other. 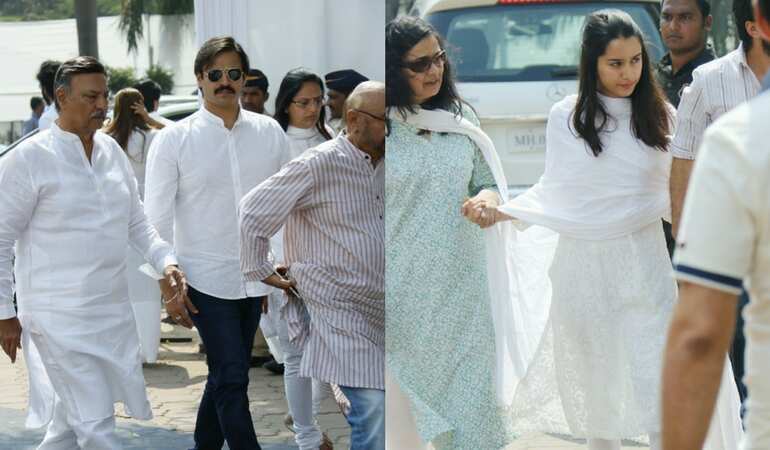 Shraddha Kapoor with mother Shivangi, Vivek Oberoi and his father Suresh Oberoi came to pay their last respects to Sridevi.